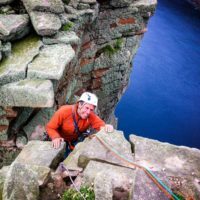 Karl Smith has been a keen walker and climber since his childhood, growing up on the fringes of the Lake District. A former trekking guide, Karl has worked in Greece, the Alps, Nepal and Turkey as well as Morocco. He has written several other guides, including The Mountains of Turkey (also published by Cicerone Press). Karl Smith is currently Senior Lecturer in Tourism at Harper Adams University College, Shropshire, with a particular interest in small-scale tourism and adventure tourism. He is married with a daughter, Abigail, and still runs walking tours in his spare time, most recently in the Pindos Mountains, Greece, and on the via ferrata around Lake Garda, Italy.